In the fall of 2018, 19.9 million US students will attend college. Over the next decade, the US Department of Education expects that number to rise by another million students. More than four thousand colleges and universities serve these students, employing hundreds of thousands of workers. By these measures, the higher education industry is booming. Yet at the same time, headlines blaze about universities in crisis. Corporate-style management, cost-cutting governments, mobilization by students, and strikes by faculty members have all taken their toll. To many students and staff alike, these institutions have become a miserable place to study and work, raising the question: What makes for a good university? In this inspiring new work, Raewyn Connell asks us to consider just that. She argues that in order to reform universities, we need to start by fundamentally rethinking what universities do. 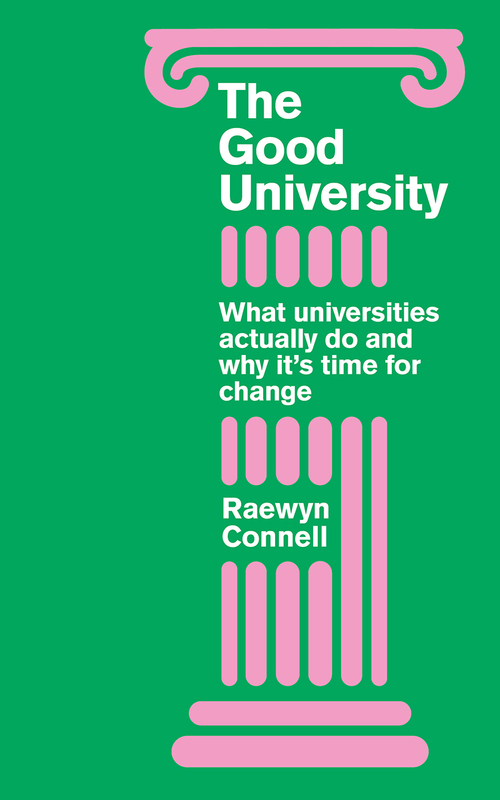 Drawing on the examples offered by pioneering universities and educational reformers around the world, Connell outlines a practical vision for how our universities can become both more engaging and more productive places, driven by social good rather than profit. She also shows how these changes can ripple beyond academics, leading to the building of fairer societies and a richer global economy of knowledge.